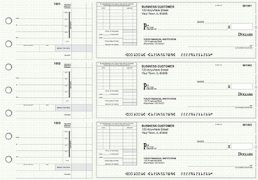 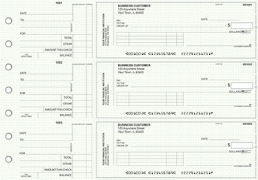 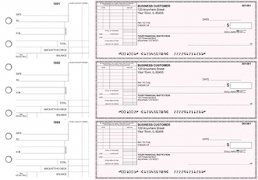 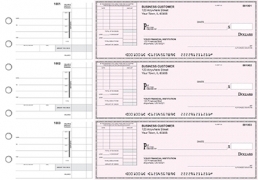 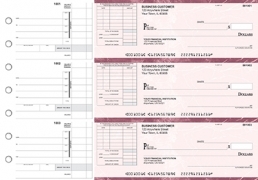 Accounts Payable Business checks come in a variety of colors as well as designer styles. 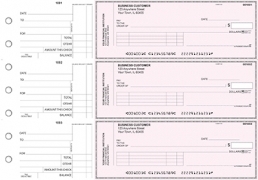 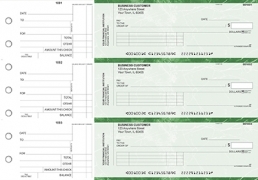 Some of the benefits of using the Deluxe accounts payable checks are that you can pay multiple invoices on one check. 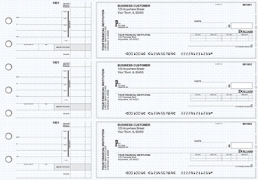 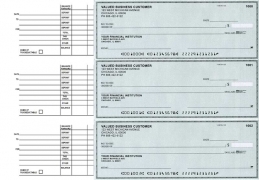 The top and bottom areas of these checks have room to report records for invoice numbers, amounts, payees and dates. There is even an area for writing a description of the item you are paying for, be it a service provided or products purchased. 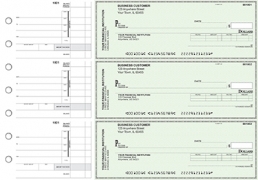 Checks are compatible with the major accounting software programs. 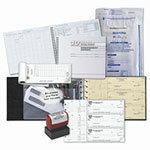 Selections include top middle and bottom checks as well as the 3 per page style checks. The 3 per page checks have plain or designer backgrounds to choose from. Prices are up to 50% off regular bank prices and you can customize these with company logos, designs, special fonts and icons.